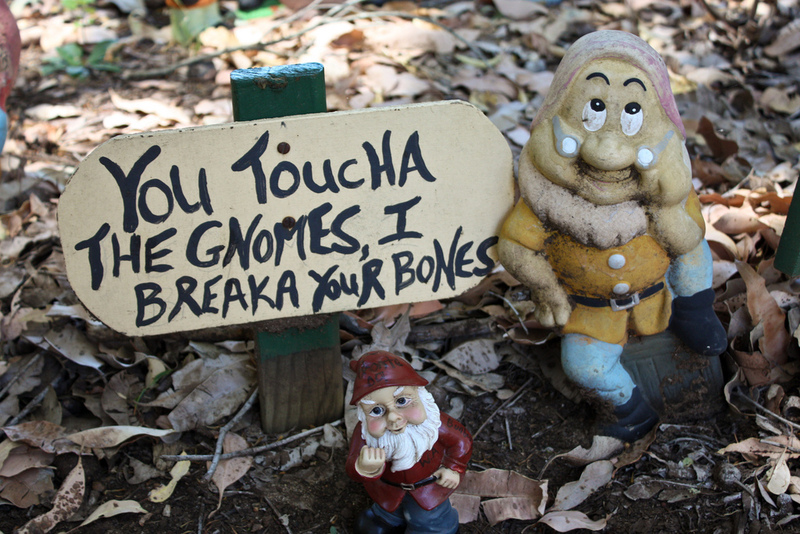 Have you ever wondered where do gnomes actually come from? 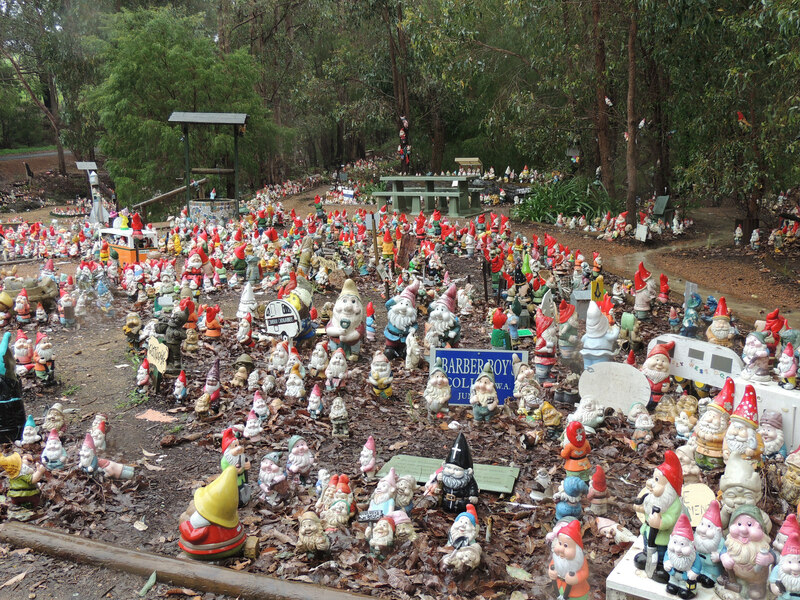 Gnomesville, Australia, of course! 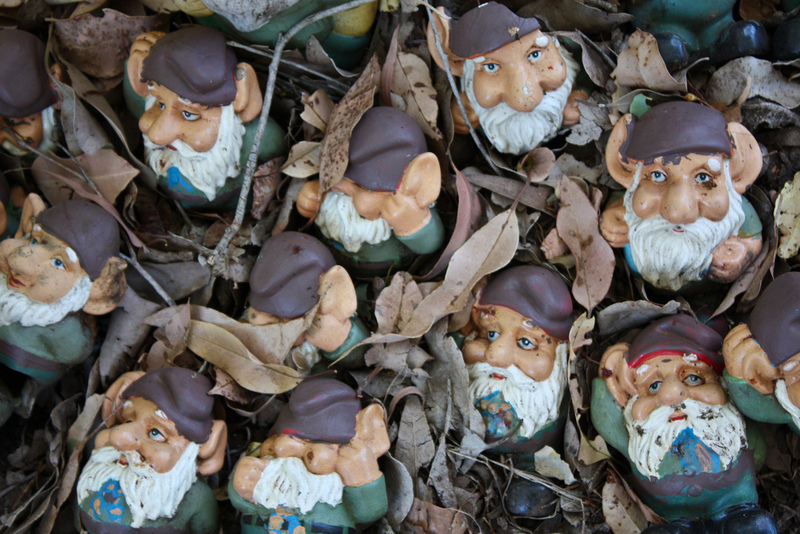 Gnomes have been around since the 16th century, according to recent written history. They are described as small, earth­-dwelling creatures, often guarding mines and hidden treasures. 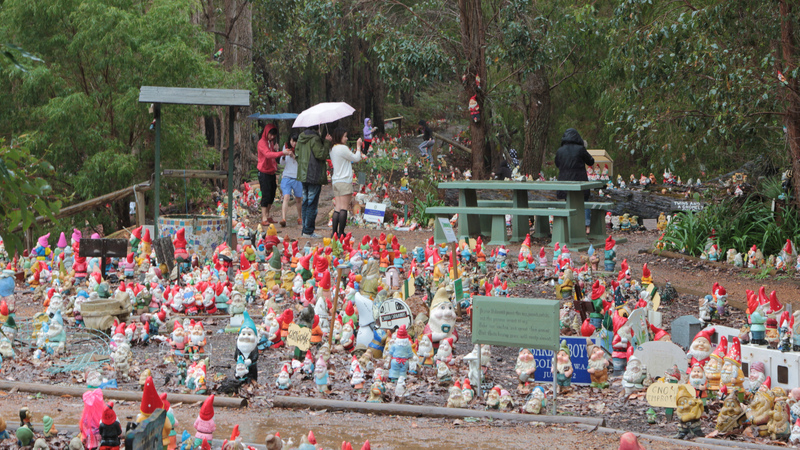 These dwarf-­sized people are easily spotted in their red pointy hats. 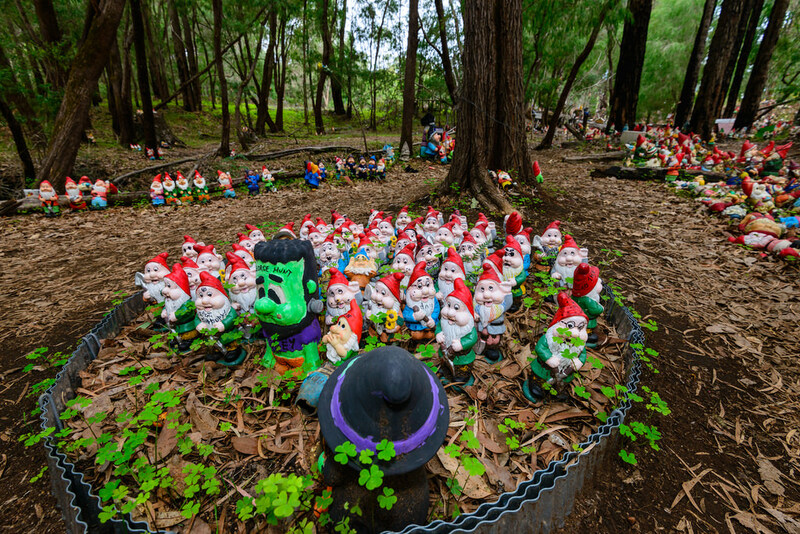 There’s a legend that says a gnome was once wondering around the coast of Western Australia, when a strange magical force called him to this place, now known as Gnomesville, 30 minutes away from local city of Bunbury. 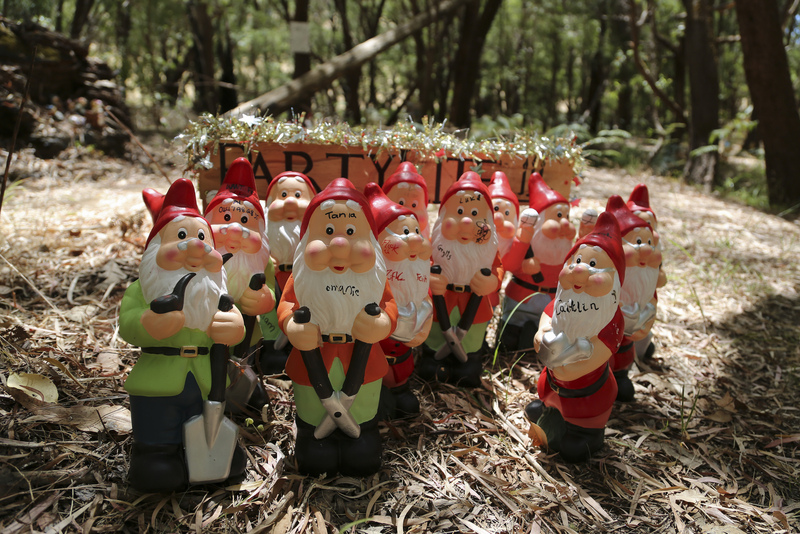 It was not long until more and more gnomes followed in his footsteps. 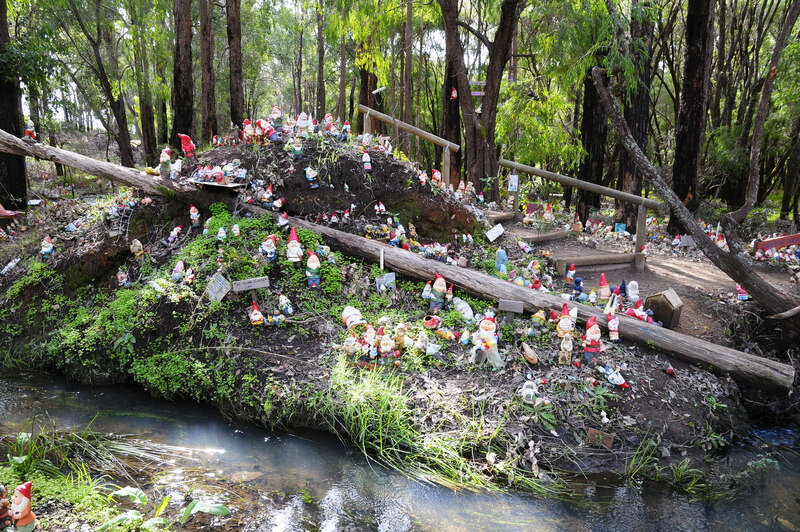 Now, thousands of gnomes quietly reside in this enchanted place. 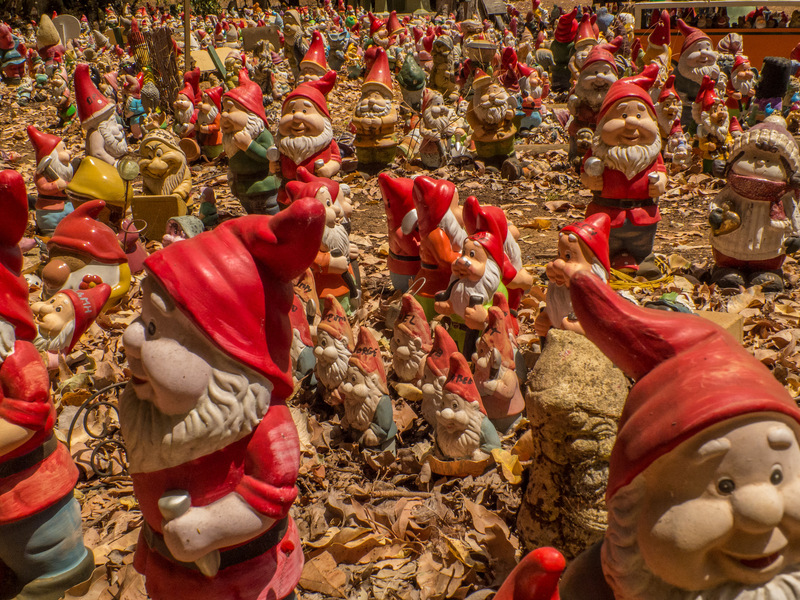 You too can be part of this ever-growing land of gnomes. 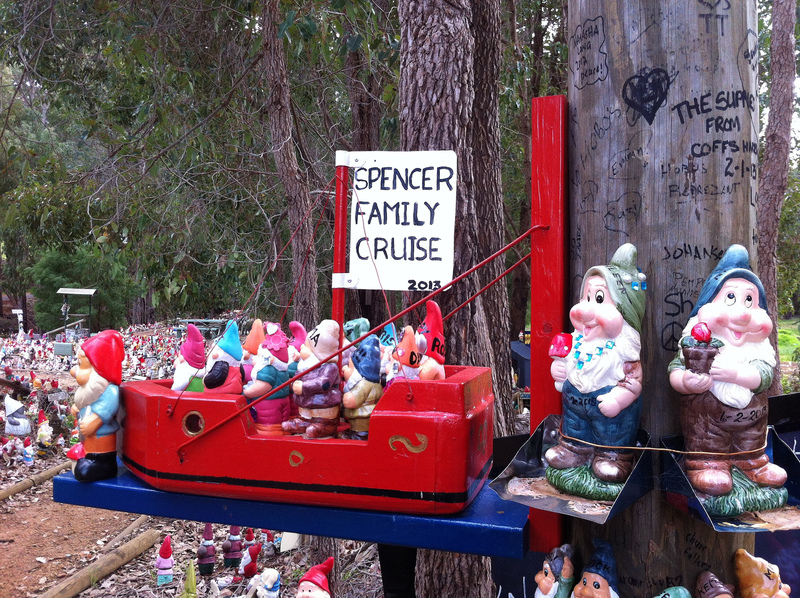 The place is open to visitors during anytime of the year, and can be found on Victoria St, Bunbury WA 6230, Australia. 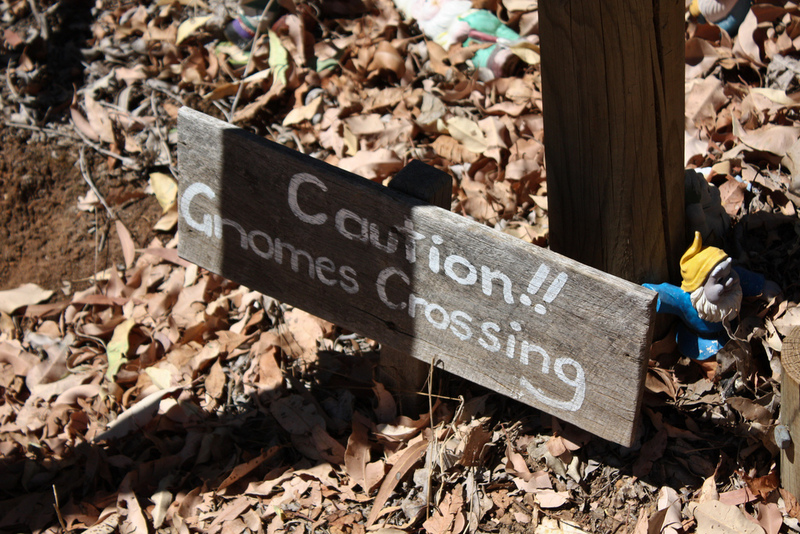 Locals are encouraging tourists to bring their own gnome or even an entire family of these little fellows. 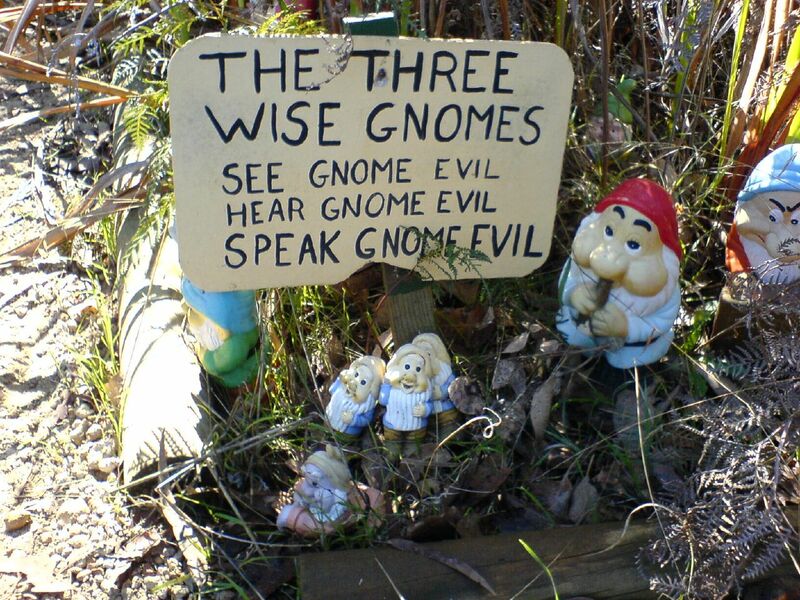 You can place your gnome anywhere you like, but do be careful to not harm the other ones, as the folklore says it will bring you bad luck if you do so. 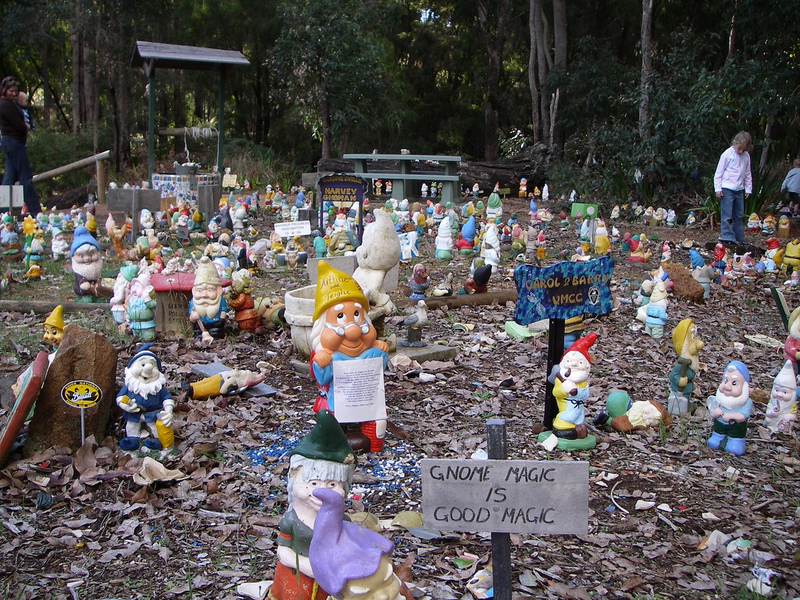 If you do like gnomes, there’s nothing that can keep you from visiting Gnomesville! 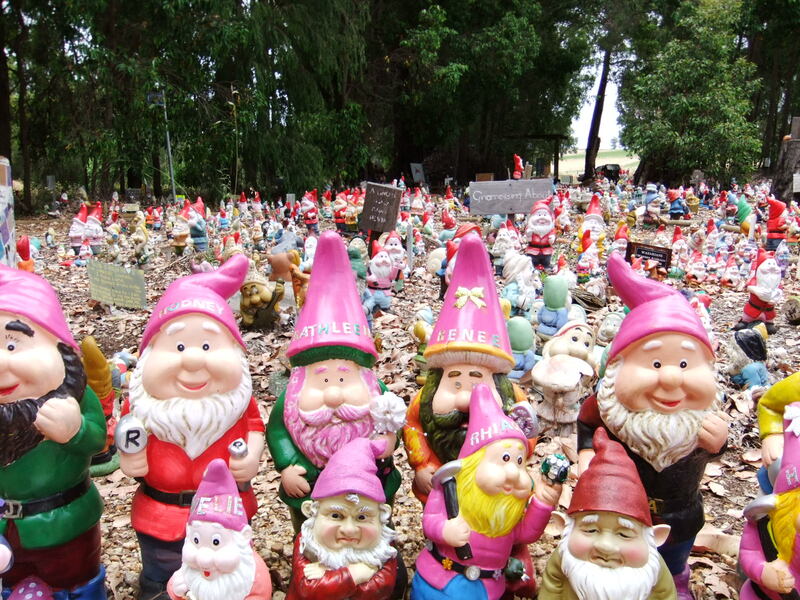 Gnomes of all sizes, shapes and colors are ready to greet you and share their wonderful stories. And among all these inhabitants, there’s also a somewhat unexpected guest: E.T. the Extraterrestrial, Steven Spielberg’s lost alien. 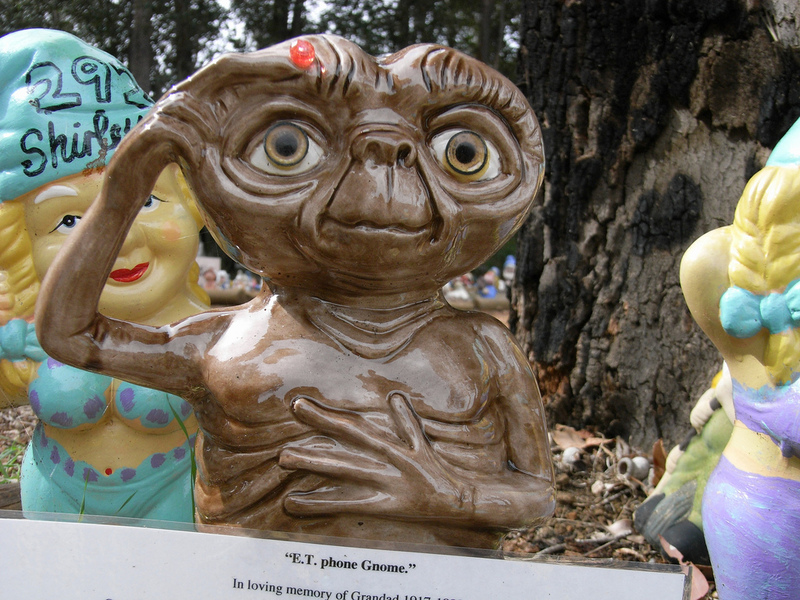 We challenge you to find him and help him “phone home”.